On November 7, 2017, our beloved Linda Patterson left this world and her physical pain to a new home of eternal rest and peace. She blessed us all in her 67 years with unconditional love, infectious laughter and incredible patience and forgiveness. Even in her last 9 years as she fought the terrible disease of cancer, she saw good in everything and everyone. Though she lost in the end, she gained our respect and adoration for a hard fight. In her honor, I would like to challenge each and everyone of you who knew her well, with offering the gift of platelets and/or blood donation in her honor. Over the course of her treatments, she received a number of transfusions from strangers who cared to save lives. Let’s give back in her honor with a goal of 67 total donations through the American Red Cross. 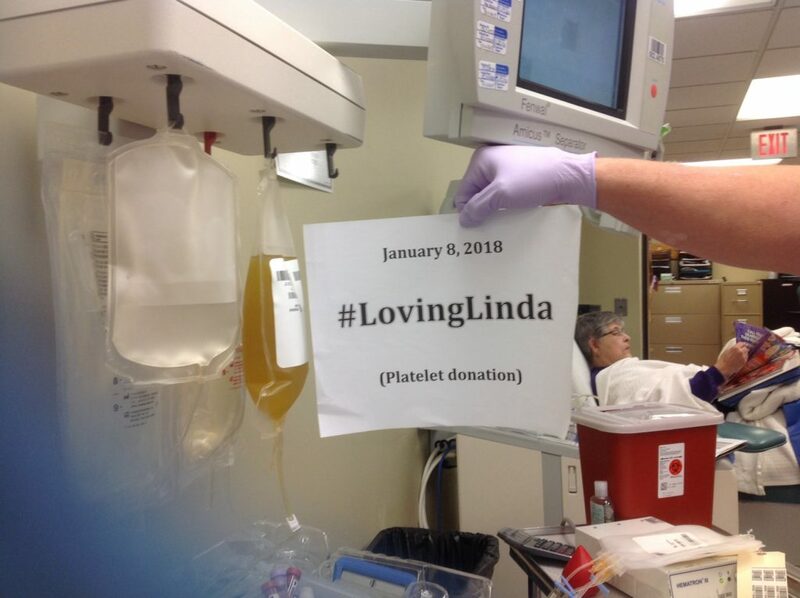 Whether just once or a number of times, you will be "loving Linda" each time you give.